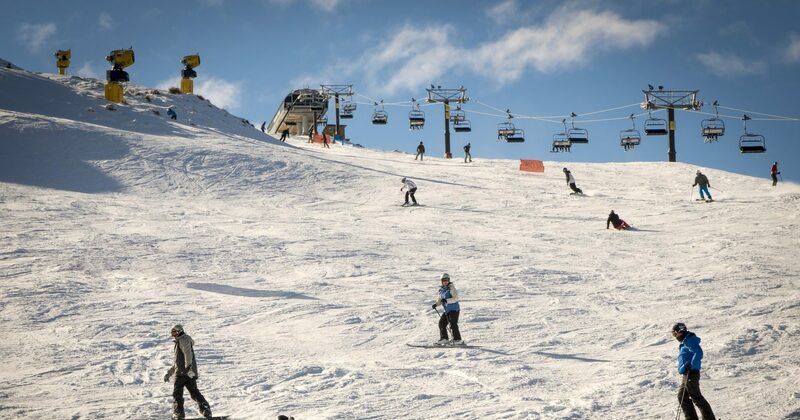 Experience the joy of skiing in Coronet Peak - a mere 25 mins drive from downtown Queenstown. With great space for the novice skier, combined with plenty of terrain for the more experienced skier the terrain is one of the more versatile when it comes to skiing in New Zealand. Combine your ski holiday in Coronet Peak with multiple activities outside of the slopes. Worth mentioning is the vast opportunities for Bungy Jumping which is an epic experience in the beautiful scenery. For the youth, and other thirsty souls, the bars in Queenstown ensure a late evening apres-ski. 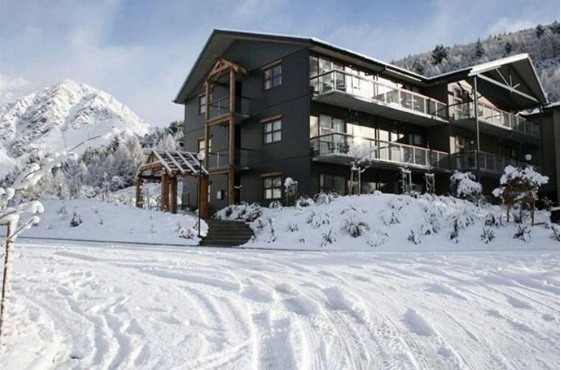 Shotover Lodge just 10 mins drive from the slopes in Coronet Peak. Rent a beautiful house for your ski holiday. 10 Mins from the slopes, 15 mins from the airport. 3-star Luxury after your day on the slopes. The Hotel accomodate a bowling alley for the sportive persons. A popular spot for skiers in New Zealand, Coronet Peak near Queenstown attracts hundreds of tourists and skiers each year. Skiing in Coronet Peak is one of the most picturesque skiing experience in New Zealand. Captivating views of the mountainous region of South Island including the beautiful Lake Wakatipu, The Remarkables, and the Lake Hayes is for some the primary reason for visiting Coronet Peak. Despite getting much lesser snow in winter, the ski season in Coronet Peak lasts longer than any other ski resorts in New Zealand. Thanks to 211 modern snowmaking machines the season in Coronet Peak ski resort lasts all the way to late in September. Coronet Peak ski resort is a haven for beginners and intermediate skiers with approximately 48% of the terrain being ideal for novices and those who are on their 2nd or 3rd ski trip. The ski resorts remaining 52% of the terrain is predominantly for expert skiers. Aside from that ratio, also comes several slopes marked for off-piste skiers. The 280-hectare skiable terrain is above the tree line and is located between the 1,229 m and 1, 649 m elevation. The 40 km interlinked skiing slopes in the resort are serviced by four highly efficient ski lifts and four magic carpets. Coronet Peak offers some of the best night skiing experience in South Island every Wednesday, Friday, and Saturday until 9 pm. The floodlit night skiing in Coronet Peaks includes the challenging M1, Shirtfront and Big Easy trails. The resort’s restaurant is open during the night skiing and offers live entertainment, food, and drinks to the night guests. Coronet Peak has several trails for beginners and first timers at the Big Easy area near the base building of the resort. The Novice Carpet lift paired with the Magic Carpet Lift gives access to some green marked trails and the Meadows Chair chairlift opens up to two more easy runs. Confident beginners can take the Coronet Express Chair up to the summit and take Arnold’s Way, the easiest blue trail down to the valley. Several long, winding blue slopes are available from the summit too but may require some skiing experience and confidence. 33% of the trails at Coronet Peak ski resort are classified as intermediate skiing slopes and marked blue. Local and international skiers love the resort for its numerous long, interlinked and well-groomed slopes with the longest trail measuring 2.4 km. The 6-person chairlift Greengates Express and the Coronet Express Chairlift provide access to some of the best runs and slopes that lead down the valley. When getting off at the summit, a wide range of groomed runs takes the skiers down to the valley from here. A tip is to spend at least one morning on your ski holiday, where you get up before the crack of dawn and try the first run from the top of Greengate Express. The view from above is spectacular and the first run down in this landscape is simply an amazing experience! 52% of the slopes in Coronet Peak are dedicated to expert skiers and snowboarders. Most of the black marked trails are located at the summit of the resort including the steep and very challenging Black Bowl chutes. The Rocky Gully top station is where the 2018 New Zealand Cup’s Giant Slalom races were held. The Rocky Gully also offers some off-piste opportunities for free-riders and expert racers. Several blue slopes on the right side of the resort lead to several black marked trails including Walk About, Ego Alley, and the Donkey Serenade. Snowboarders have plenty of options in the resort, the WalkAbout, the Fruj Halfpipe and the Dirty Dog Terrain Park near the Million Dollar area offer many opportunities for freestylers and free-riders. Powder runs near the Rocky Gully, and some of Coronet Peak’s naturally rolling terrain makes best snowboarding adventures. Coronet Peak has four restaurants that serves fast food meals, international cuisine and a la carte dinners throughout the day and have sundecks that gives skiers excellent mountain views while enjoying the sunset with a beer or two. For those who are looking for more options and more vibrant après-ski spots, Queenstown is home to countless shopping areas, hot pools, bars, restaurants, and nightclubs. Here are some of the best spots to finish the day after a long day on the Coronet Peak slopes. Heidis Hutt at the base station of the Rocky Gully T-Bar is a local’s favorite, serving gourmet pizzas, pastas and breakfasts. 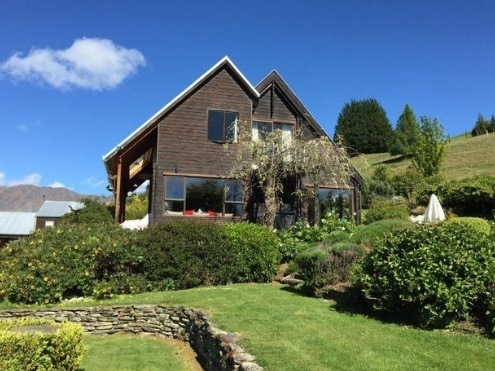 The Hutt also serves Amisfield wine and craft beer that can be enjoyed inside by the fire or at the Hutt’s sundeck for a fantastic view of Lake Wakatipu and the snow-capped mountains. The West End Café is located right at the bottom station of the Coronet Express chairlift. The café offers fast food meals to skiers who aren’t willing to make the commute to Queenstown. An affordable backpacker bar that offers beers, wines, and cocktails with delicious food, Loco Cantina brings in a new theme every night and is perfect for skiers looking for a vibrant and lively ambiance. Winnie's bar is more of a ‘dancing-on-tables’ sort of a pub. Skiers prefer Winnie for its amazing parties, live music performances and great selection of beers and cocktails. The laid-back bar also serves some of the best burgers and pizzas in Queenstown. For a unique après-ski experience, head to The World Bar to enjoy Queenstown’s iconic teapot cocktails, craft beer and live music that gets everyone on their feet. The World Bar open 12:00 noon onwards, the bar offers NZ’s best grass fed beef burgers, vegan and gluten free meals and features legendary DJs every night. Looking for a different experience after skiing in Coronet Peak? Then head to the Minus 5 Ice bar for an experience lasting a lifetime. The bar is frozen and filled with many ice sculptures. Everything in the bar is made from ice, the seats, the ceiling, the cups, and glasses. Hidden in a basement on the Cow Lane, the Rhinos is a perfect haven for Coronet Peak ski resort guests. The ski shack is open throughout the winter ski season and offers a range of delicious foods, dancing, and drinking late into the night. For some nightlife and après ski night clubbing head to the Vinyl Underground in Queenstown. The nightclub is always crowded with party-loving ski enthusiasts. Open until 4 a.m., the Vinyl hosts the liveliest music, DJ performances and open mic nights in Queenstown. Apart from skiing and snowboarding, Coronet Peak does not offer many activities for non-skiers. 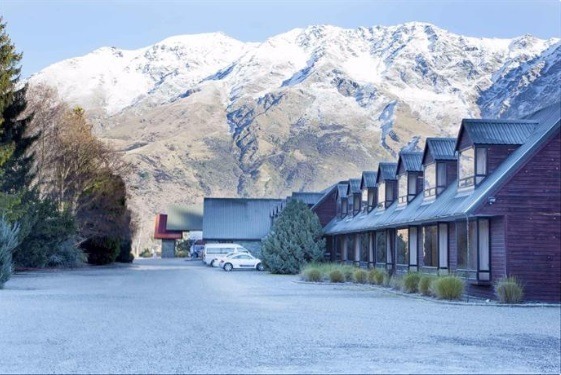 For those looking for off-mountain winter activities, Queenstown offers numerous activities like adventure sports, shopping, fine dining, laser tag and go-karting. Here is an exciting list of winter activities available at Queenstown from June to September. Snow tubing is one attraction that no one would ever want to miss in any ski resort and Coronet Peak is no exception. The resort has a dedicated slope for snow tubing and bookings are required to access the area. The tickets are available at NZD$ 12 for children, NZD$ 20 for adults and NZD$50 for families that includes two adults and two children. Tickets are available from The Guest Services area or the Snow Center. Just 20 minutes away from Coronet Peak, a skydiving adventure awaits those who want to have a birds-eye view of the alpine ski paradise. Skydiving is the best way to enjoy the majestic peaks of the Southern Alps and the Coronet Peak ski terrain. The skydivers and staff are all professional and highly qualified and have excellent safety records. Afraid of the heights? No Problem, you can still experience the thrill of skydiving indoors in Queenstown! iFly is one of the most exciting and safest indoor sky diving experience in the world. Combined with the latest VR technology, tourists can experience the pleasure of free falling virtually from 13,000 feet over several of the world’s most scenic locations. The Bungy Capital of New Zealand, Queenstown offers the best bungy jumping experience in NZ. If you decide on trying bungy jumping in one of the prettiest scenes in all of New Zealand, we recommend trying out AJ Hackett Bungy Ledge Bungy and Swing.